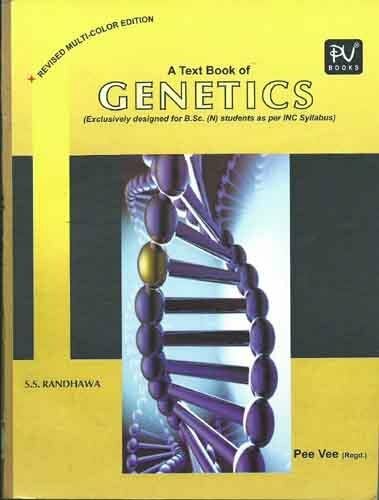 This book aims at providing the MBBS and allied health sciences students with the basic concepts of genetics. Care has been taken to include frequently asked topics in the examination and at the same time avoiding unnecessary details. While relevant important topics have been discussed at length, other infrequently asked topics have also been covered. Efforts have been made to use simple English language throughout this book so that the text can be readily understood. The subject has been made interesting by including many coloured illustrations so as to enhance and facilitate reader’s understanding of the pertaining text. A sincere attempt has been made to make the text concise and lucid. 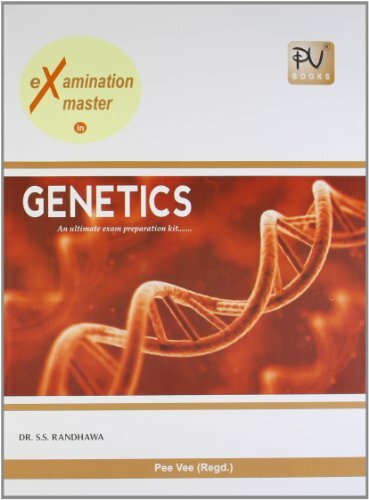 Chapters such as Dermatoglyphics, Prenatal diagnosis and Important Techniques in Genetics have also been dealt with so that the students can keep pace with the recent developments. Endeavours to make this seemingly difficult subject understandable and enjoyable for the readers. It provides an account of classical and modern genetics with new developments in the field. The scope of each chapter has been broadened enough to provide information on historical landmarks as well as of new facts from current issues of major journals. Chapters on gene transcription, regulation, human genetics, recombinant DNA and genomics have been given special attention to create awareness about future areas in this growing field. Experimental work is supported by methodologies and illustrations. The text is useful for students pursuing courses in cell and molecular biology, biophysics, anthropology and agricultural sciences at universities, medical colleges and similar institutions. Karvita B. Ahluwalia After obtaining Ph.D. from Delhi University, Dr. Ahluwalia worked on a Post Doctoral Fellowship of the Max Planck Society at the Max Planck Institute of Genetics in West Germany and then at Chicago, USA. In India, she joined as Pool Officer in the Department of Anatomy (Section of Genetics) at the All India Institute of Medical Sciences, New Delhi, from where she retired as Professor, Cell Biology and Electron Microscope Section in the Department of Biophysics.